A vehicle’s ignition system is responsible for igniting the mixture within each cylinder at the appropriate time. It generally includes a coil that saturates and stores energy and a distributor that routes spark to each cylinder at the appropriate point in the crankshaft rotation. Pontiac used a few different systems that all performed satisfactorily for production engines. While they still perform suitably, there are aftermarket offerings that may be better suited for modern high performance engines. The ignition system is responsible for providing the spark that ignites the combustible air/ fuel mixture within the cylinders. The distributor routes electrical voltage to the spark plugs at the appropriate crankshaft angle for optimal performance. Pontiac used a few different distributors in its production engines and a wide array is available on the aftermarket. Maximum possible engine torque occurs when cylinder pressure peaks at a crankshaft angle of 10 to 12 degrees after top dead center (ATDC). That allows the pressure to expend the greatest portion of its energy over the entire length of the crankshaft stroke. Since it takes a fixed amount of time for the flame front to spread across the combustion chamber, ignition must be initiated at a crankshaft angle before top dead center (BTDC) to achieve maximum cylinder pressure ATDC. Initial timing is the base spark setting without any vacuum advance. It’s generally a setting between 10 and 20 degrees depending upon the application. 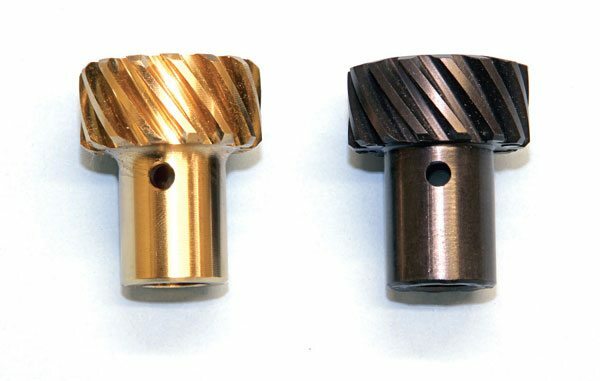 As piston speed increases, spark timing must occur earlier in the rotation cycle and a mechanical assembly within the distributor increases spark timing. 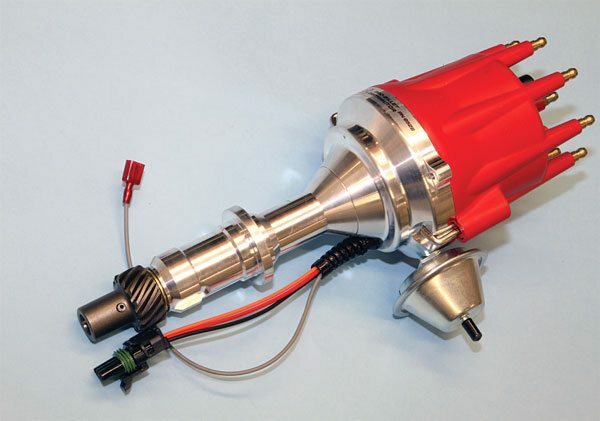 Total maximum spark lead in a naturally aspirated Pontiac V-8 is generally between 30 and 40 degrees, and that can vary with combustion chamber type, compression ratio, and fuel octane. 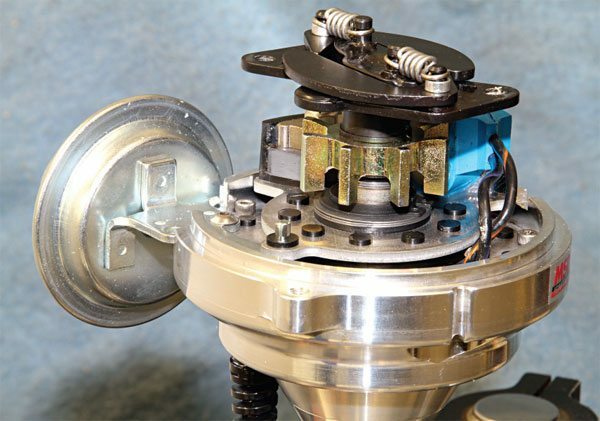 The mechanical or “centrifugal” advance within a distributor can be adjusted by swapping around springs and the weight and center cam assemblies. As engine speed increases, spark must occur earlier to provide optimal performance. 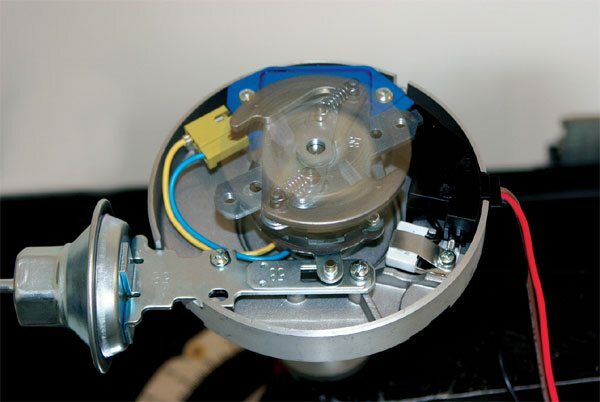 A distributor contains an internal mechanism that uses centrifugal force to advance spark timing. It’s a very simple setup that’s easily adjusted by replacing the small springs, weights, and/ or center cam, depending upon the distributor type. A vacuum advance canister senses engine load and adds timing in certain operating conditions to improve engine efficiency. That reduces the engine’s operating temperature and increases fuel economy. Many hobbyists are intimidated by vacuum advance, but it’s simple to use and its effects are quite noticeable. I strongly believe every street engine can benefit from at least a slight amount of vacuum advance. 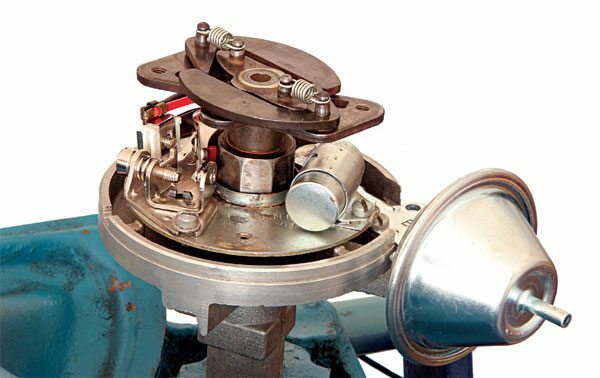 When an engine is under very light load, its carburetor throttle plates are nearly closed, and that’s when it produces its greatest vacuum. The air/fuel mixture in each cylinder isn’t as tightly compacted and thus isn’t as combustible. Ignition must occur at an earlier crankshaft angle for combustion to consume as much fuel and air as possible, while maintaining the greatest cylinder pressure at the same ATDC crankshaft angle. A small canister that uses engine vacuum level to sense engine load provides additional spark lead in conditions where it can benefit the engine most. The vacuum-advance canister increases spark lead by 10 to 20 degrees in light-load conditions, but it immediately relaxes as soon as engine load increases and vacuum level drops. Vacuum advance makes the engine more efficient at idle and light part throttle, and that can reduce operating temperature and improve economy. There are no negatives associated with vacuum advance and it can benefit most engines. 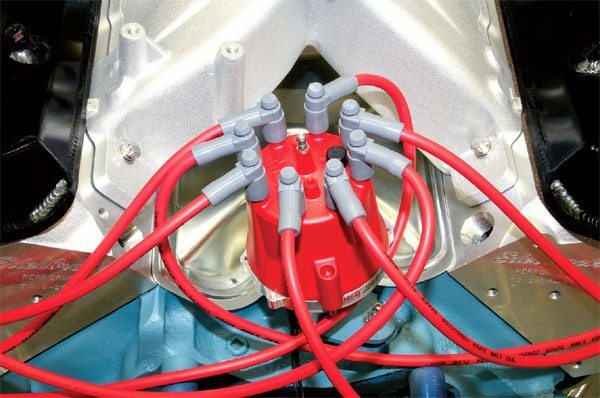 A conventional ignition system uses a set of contact points that open and close to saturate the coil and create the arcing that crosses the plug gap to ignite the mixture. The system saturates the coil while the points are closed. The duration they remain closed is referred to as “dwell” and is expressed in degrees of crankshaft angle. Dwell has a direct effect on engine performance. A setting between 28 and 32 degrees generally provides the greatest engine performance. As the points set wears during normal use, dwell must be periodically checked and adjusted as necessary. Within the distributor of a conventional ignition system is a contact point set that opens and closes thousands of times each minute. The coil is saturated while the points are closed and the spark plug arcs as the points open. Because wear occurs during normal operation, the points set must be occasionally adjusted to maintain a certain amount of coil saturation, which is referred to as “dwell.” I recommend a quality set like that from NAPA if replacement is required. The HEI system is very reliable and hundreds of thousands of them were installed into Pontiac V-8s over the years. It doesn’t take much hunting to find a used unit in a local salvage yard. The newest units are more than 30 years old and can be a bit cruddy from years of use. Don’t let that appearance mislead you, however. This unit functioned perfectly after a thorough cleanup and proper lubrication. 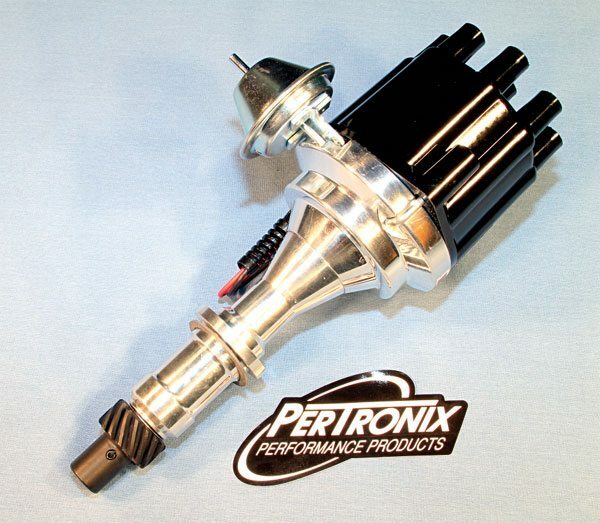 If you’re concerned with the reliability of a points set or are uninterested in checking and occasionally adjusting it, Pertronix offers a few different points elimination kits that use an electronic triggering system in place of the mechanical setup. The reliability of the electrical components has improved in recent years, and its Ignitor III features a built-in rev limiter that’s fully adjustable. Beyond a bit of routine maintenance, a conventional system is very reliable, but it isn’t always capable of delivering the voltage necessary for certain applications. A resistor wire reduces normal operating voltage of a conventional ignition system from 12 to around 9, depending upon the application. A full 12 volts is more than the points set can handle over extended periods. Operating on less voltage reduces the amount of available voltage at the spark plug and that can make it difficult to effectively ignite the mixture in a low compression engine, particularly with a lean mixture. This is why the system is antiquated by today’s standards. Many electronic conversion kits are available. 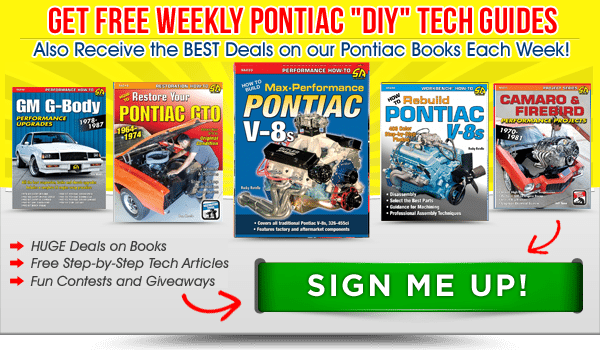 Since the 1960s, Pontiac has used various ignition systems that were electronically triggered. 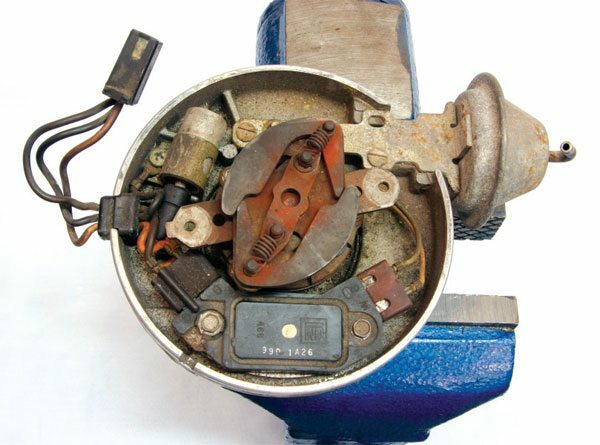 Its Transistorized Ignition was eventually replaced by the Unitized Ignition System in the early 1970s. The mechanical contact point set in either system was replaced by an electronic pickup assembly that controlled spark fi ring using magnetic pulses, eliminating the need for routine maintenance associated with contact points. The Unitized system was self-contained and required only a single 12-volt power lead for normal operation. Long-term reliability was its weakness, but when operating as intended it was quite effective. General Motors introduced its high energy ignition (HEI) system in 1974 and Pontiac used it on a number of its V-8s beginning in the middle of the model year. The HEI system was similar to the Unitized system in that it used an electronic control module and pickup coil assembly to saturate the internal coil and trigger plug fi ring. Coil output was much improved and its large-diameter cap prevented cross arcing. It proved to be a very reliable ignition system and Pontiac used it on all its V-8s from 1975 forward. It can make an excellent unit, with proper preparation. A number of companies produce new versions of the original HEI that look and function identically. The quality can vary from excellent to very poor, and the price is generally an indicator of that. If your project requires a new HEI system, I recommend those from Crane, Mallory, MSD, Performance Distributors, Pertronix, or Proform. You can expect to spend $300 or more for a new HEI system from any such company. I strongly suggest avoiding budget offerings. I have witnessed significant quality issues and would never use one on my own engine. MSD has been producing external ignition control boxes for several years. It fi res the spark plugs in each cylinder multiple times per crankshaft revolution at low to moderate engine speeds, and one very intense spark at speeds above that. The digital processor provides constant and reliable operation at all engine speeds for extended periods. A soft-touch rev limiter is available that’s designed to prevent spark from occurring at alternating cylinders, limiting the engine’s top operating speed to a preset RPM. A separate box that offers many of the same options, but digitally retards spark timing is also available. A basic MSD box sells for less than $200. I have found that all available functions perform as intended. Many companies produce brand-new HEI distributors for the Pontiac V-8. A unit like this from Pertronix offers top-quality construction and internal electronics. The aftermarket unit fits and functions just like an original, and it even accepts the factory wiring. You might find yourself time and money ahead purchasing such an example as opposed to hunting for a used original in excellent condition. 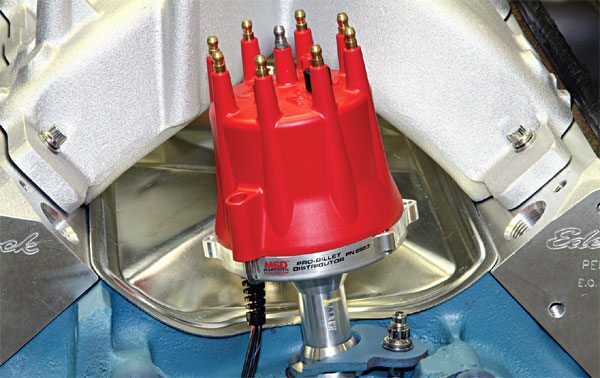 MSD offers a few different ignition control boxes that use a digital processor to accurately and reliably fire the spark plugs multiple times at low to moderate engine speeds. That improves idle quality and low-speed street manners, particularly in applications where a radical camshaft dilutes the incoming mixture with residual exhaust gas. The 6AL box contains an adjustable rev limiter to prevent engine damage from operating past its redline. 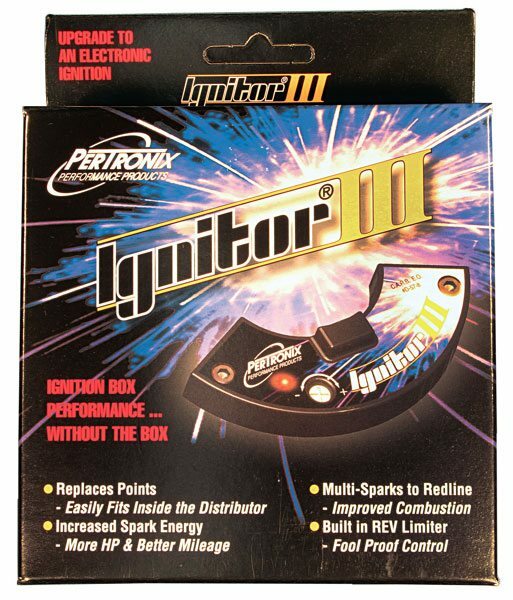 Pertronix offers a stand-alone small-body electronic ignition system that simply requires a 12-volt power source and canister type coil for normal operation. It’s ideal for applications that are limited by intake manifold choice and/or firewall clearance. A traditional large-body HEI system isn’t compatible with an original Tri-Power intake manifold. A unit like this may be the answer. The Pro-Billet distributor from MSD is a beautifully designed unit that features a housing CNC machined from billet aluminum. The main shaft is larger than stock and floats on sealed roller bearings, and the internal electronics are of the highest quality. It requires a separate coil and ignition control box for normal operation. It’s an excellent choice for any high-performance engine. The advance mechanism of MSD’s Pro- Billet distributor uses points-type weights. It comes with various springs and limiting bushings that allow for easy advance adjustments. It wasn’t uncommon to find the reluctor heavily rusted on well-used Pro-Billet distributors in the past. While it looked problematic, it didn’t affect function. MSD now includes a vented cap to and a special coating on certain internals to reduce such issues. MSD offers a second Pro-Billet distributor for the Pontiac V-8 in its Ready-To-Run line. It includes an internal electronic control module and doesn’t require a separate ignition control box for normal operation, but it’s certainly compatible with it. A vacuum advance canister makes it an excellent choice for street applications. MSD recently added a fully adjustable internal rev limiter. 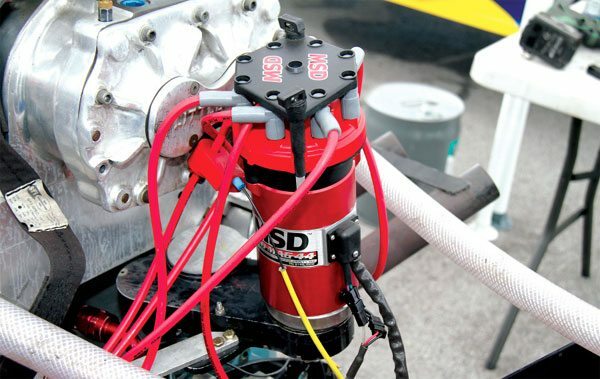 MSD’s Ready-To-Run distributor contains many of the same design features as its Pro-Billet. The internal electronics are quite reliable and the advance mechanism is fully adjustable and includes the appropriate components to provide peak performance in your particular application. The Ready-To-Run unit is an excellent distributor that’s a great choice when seeking to replace an ailing original. In addition to its popular ignition control boxes, MSD offers two popular distributors. Its Pro-Billet model features billet-aluminum construction and a hardened main shaft that rides on ball bearings. Its centrifugal advance mechanism is fully adjustable and can be locked for use in race applications with or without a crank trigger, or when a digital-retard box is used. This is an excellent distributor that sells for about $300. It does, however, require the use of an MSD box and canister coil. MSD offers a Pro-Billet–style Ready- To-Run distributor that contains all the same design features as the original, but has an internal module that offers standalone operation and includes a vacuum advance canister, which can improve its effectiveness for street-driven applications. As part of MSD’s Ready-To-Run line, it’s an excellent distributor and one that I use on my own Pontiac. Expect to spend about $375 for the distributor, which also requires a canister coil. 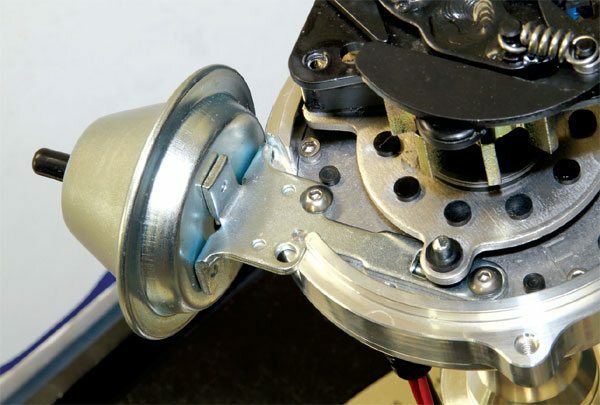 A popular modification that’s intended to improve ignition system accuracy in a competition engine is to add a crank trigger. It uses an aluminum wheel affixed to the harmonic damper to sense magnetic pulses that trigger ignition firing. MSD offers an excellent crank trigger assembly, which uses high-quality electronics and a CNC-machined bracket for maximum stability and control. When using a crank trigger of any type, the distributor advance mechanism must be locked out and all timing adjustments made on the aluminum trigger wheel. The MSD assembly sells for about $300 and is compatible with its distributors, ignition control boxes and other assemblies. 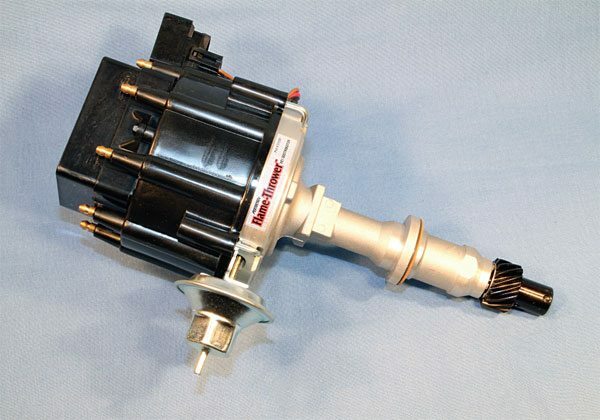 A crank trigger assembly improves the accuracy and stability of an ignition system, but it isn’t for every application. 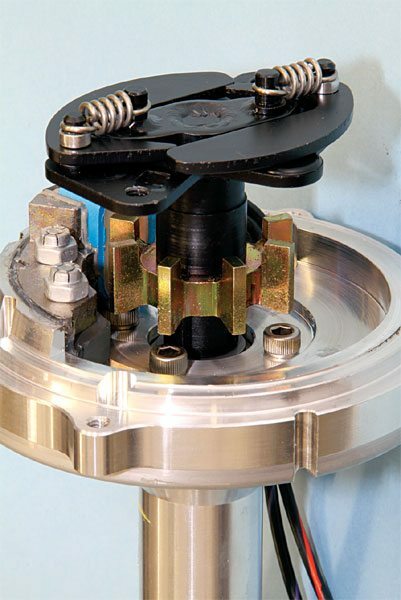 It replaces the distributor’s internal triggering components with a large wheel mounted on the harmonic balancer. The wheel contains small magnets that an electronic sensor detects, telling the ignition control box when to fire the spark plug. The crank trigger kit offered by MSD is top quality and is one I recommend. 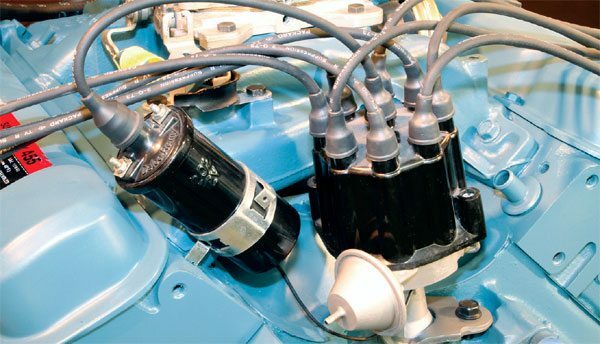 Max-performance race engines require a powerful and extremely reliable heavyduty ignition system. To provide maximum consistency, a magneto produces its own power. That eliminates the need to rely on an external power source, such as a battery or alternator, during normal operation. MSD produces several high-quality magnetos ideal for competition engines. They are, however, a universal design and require a separate Pontiac-specific base and/or custom fitting. 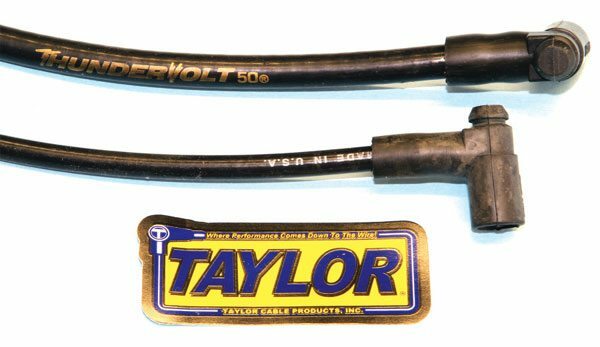 I have been using Taylor spark plug wires in my Pontiacs for many years with excellent results. The wires are very pliable and the sockets solidly snap onto the distributor cap and spark plug terminals. Taylor’s wires are available in a universal length that must be trimmed and assembled accordingly or in pre-assembled sets with appropriate lengths. They’re also fully compatible with most original and aftermarket ignition systems. Along with a wide array of top-quality ignition components and spark plug wire sets, MSD also offers the best tool for assembling spark plugs wires that I’ve come across. 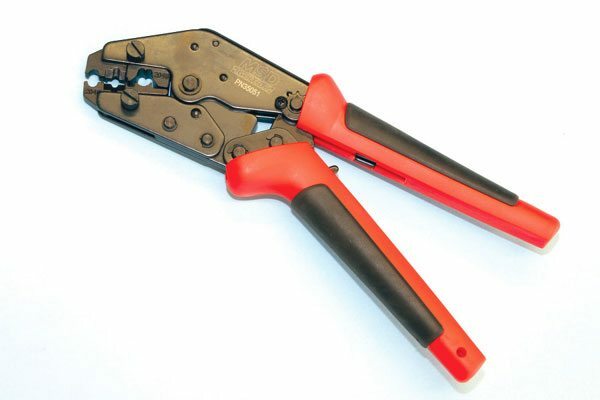 The jaws are designed to trim the wire’s outer insulation without cutting its core and the ratcheting allows for smooth and precise terminal crimping. If you prefer custom-length spark plug wires for your particular application, it’s something you need in your tool box. Spark plugs live in a harsh environment. They must fire consistently and reliably each time, and operate at a temperature that’s hot enough to prevent fouling, but not so hot that it induces detonation. 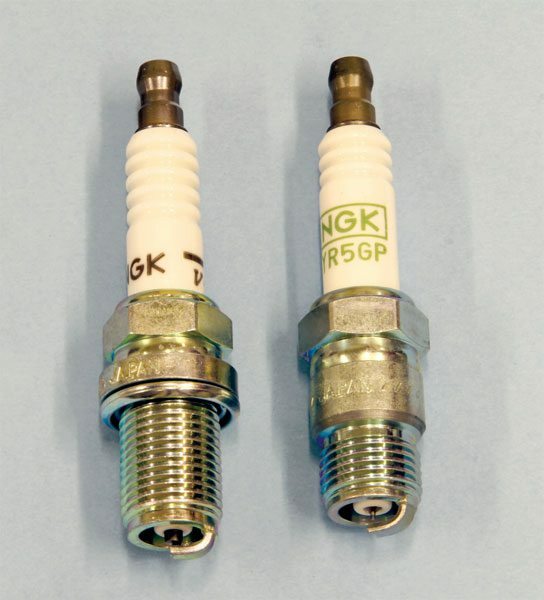 Spark plugs are produced by a number of companies, but I have found those from NGK to be among the best. 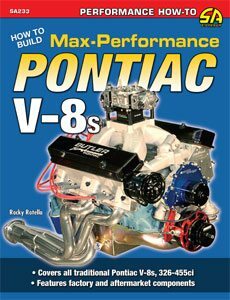 Available in a variety of heat ranges and models compatible with the Pontiac V-8, it’s best to discuss with your spark plug requirements with your Pontiac engine builder since each application is so different. Spark plug wires transfer voltage from the distributor cap to the spark plug. Any voltage leak within the wire can cause the spark to jump before it reaches the plug, causing a misfire. The stock pointstype system used 7-mm wires while the HEI system used those measuring 8 mm. I regularly use top-quality 8-mm spark plugs wires on my Pontiacs and have had excellent results with spiral core wires from MSD and Taylor. Some high-voltage systems may benefit from larger-diameter wires and Taylor’s Thundervolt line is an astonishing 10.4 mm thick. Taylor and MSD offer universal wire kits that must be trimmed as well as custom-fit units for Pontiac applications. Expect to spend about $100 for a complete set.